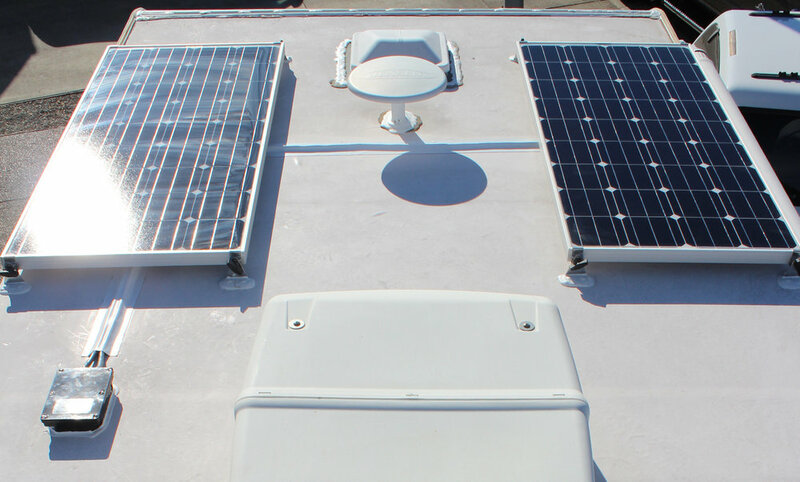 We installed a Blue Sky SB2512iX MPPT Charge Controller w/ Remote Monitor, shunt, temperature sensor, along with 2x AM Solar SF160 160w & Roof Combiner Box on this R-Vision Trail Lite travel trailer. All roof penetrations we sealed with Dicor leveling sealant and the main runs of the PV solar power wire were covered using Eternabond sealant tape for a clean seamless install. 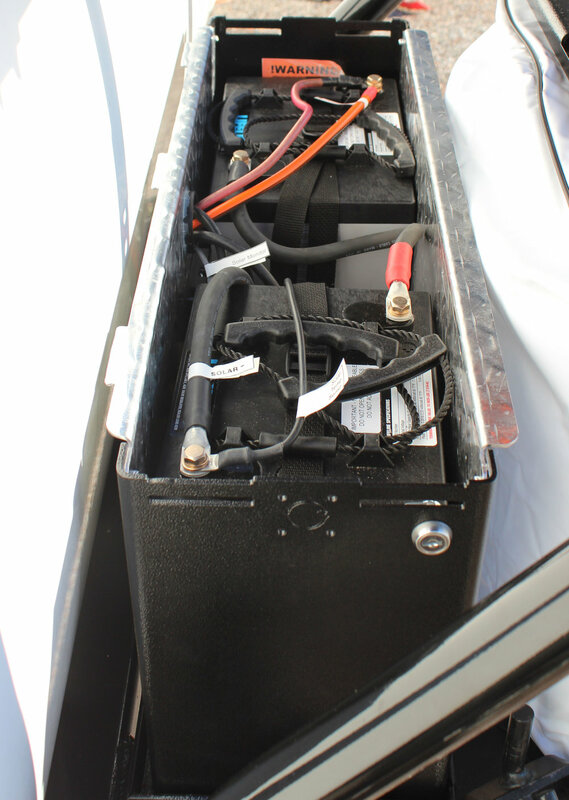 Additionally, we installed 2x Lifeline GPL-4CT 6V 220ah batteries. This system would be capable of supporting a 120VAC inverter if this customer chose to install one in the future. 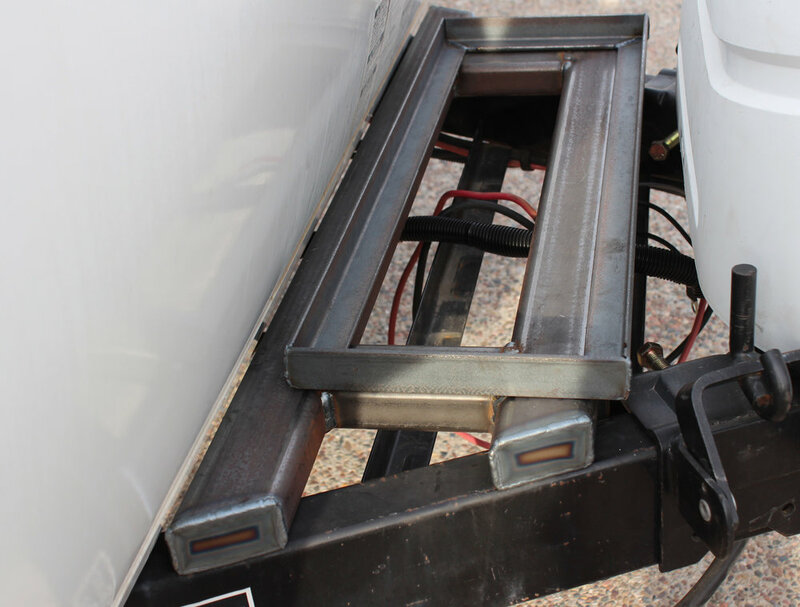 In the meantime, he opted for an LP generator that we integrated into a custom fabricated battery support base which we attached to the trailer frame.